Now in paperback, "Becoming Buddha" is an intriguing and captivating introduction to the story of Buddhism. 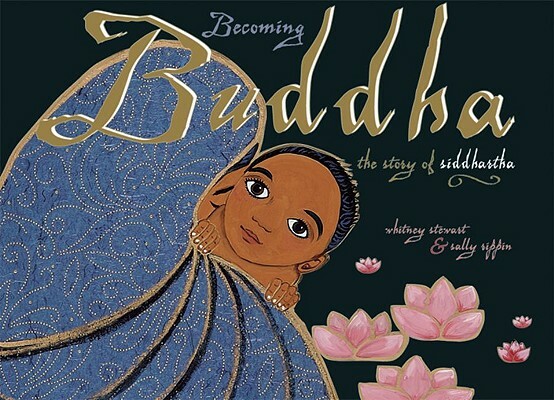 Opening vertically, beautiful words and illustrations depict the life of Siddhartha Gautama, a young, wealthy prince who eventually gave up his worldly ways until he attained supreme enlightenment to become Buddha. Foreword by Tenzin Gyatso, HH Dalai Lama. Whitney Stewart began submitting stories to children's book publishers when she was fourteen. Whitney interviewed the 14th Dalai Lama for her first children's book. That interview ignited her, and she has traveled to Burma, China, Japan, Singapore, and Thailand to research her book topics. Born in Australia, but grew up in many other countries like England, Brunei, Hong Kong and China. Went to China and studied traditional Chinese painting for three years. Much of her experience of studying in China became the basis of her first novel 'Chenxi and The Foreigner.' Print Page Email Page A Brief Biography His Holiness the 14th Dalai Lama, Tenzin Gyatso, is both the head of state and the spiritual leader of Tibet. In 1989 he was awarded the Nobel Peace Prize for his non-violent struggle for the liberation of Tibet.